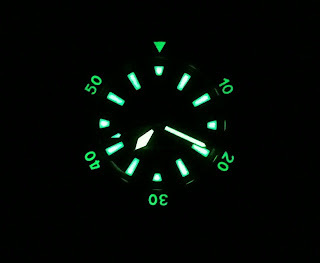 I have to say that one of the main reasons I like the watch is the lume on the bezel. Definitely not one of the watches that will be 'chopped' during the ongoing rationalisation process. 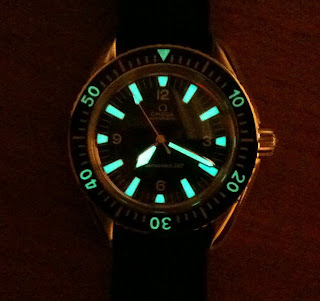 With some light. 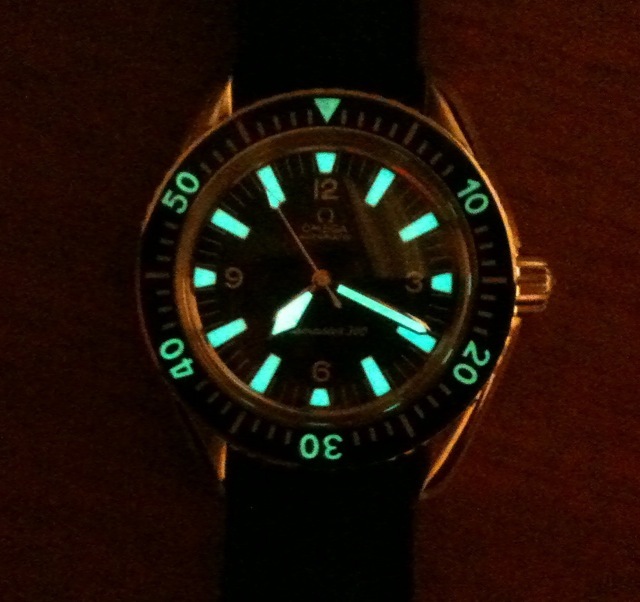 The lume looks bluish. I guess it is because of the 'yellow' light.